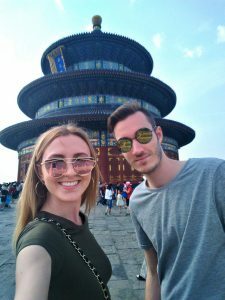 Exploring China through the eyes of Bill and Grace! In recent years, outbound traveling gains significant popularity in China as you can see here. In 2013, more than 98 million Chinese tourists crossed the border and spent almost 130 billion USD overseas, making China world’s No.1 country in outbound tourists number and spending. 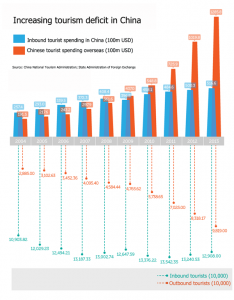 However, China as a destination for foreign tourists is not looking as good. 2013 marked the second consecutive declining year for its inbound tourism.